Ensure that the right person is entering your facilities – denied person screening maintains a list of individuals who are not allowed on the premises and notifies the front desk with a visual notification of a denied person. Connect your access system to the SADEVIO visitor management and increase your security level even further: block access cards, assign access levels, and automatically disable visitor badges without any other software. Receive an organized overview that clearly shows all details of a visit in your system- view a centralized log of the entire visitor management system or review a specific visit. 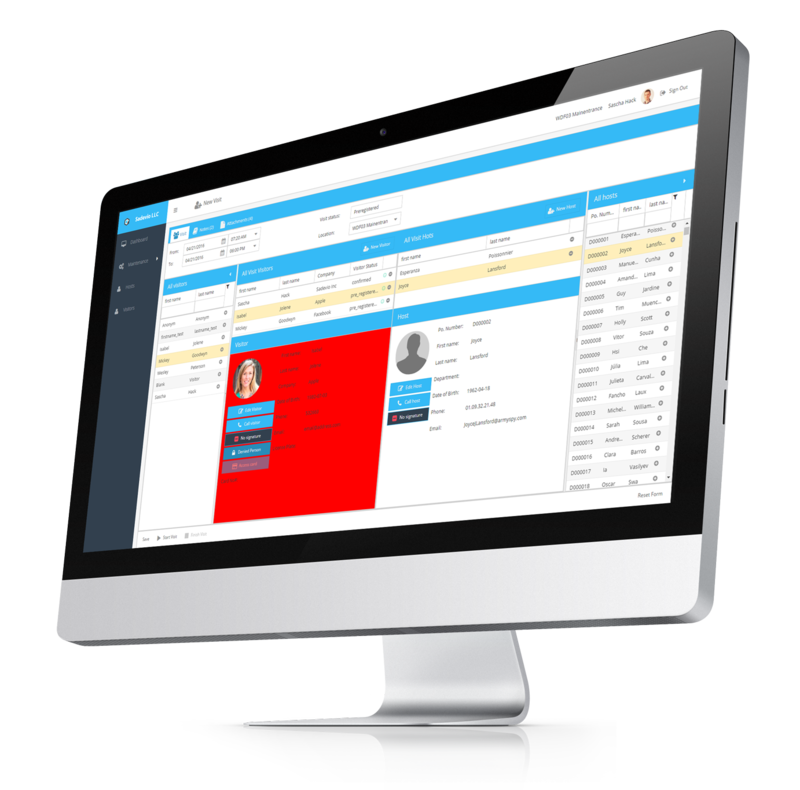 Increase your security with the SADEVIO visitor management system: simplify your access card process, control your access systems in one centralized place, and have top notch visibility to monitor who, when, and where.